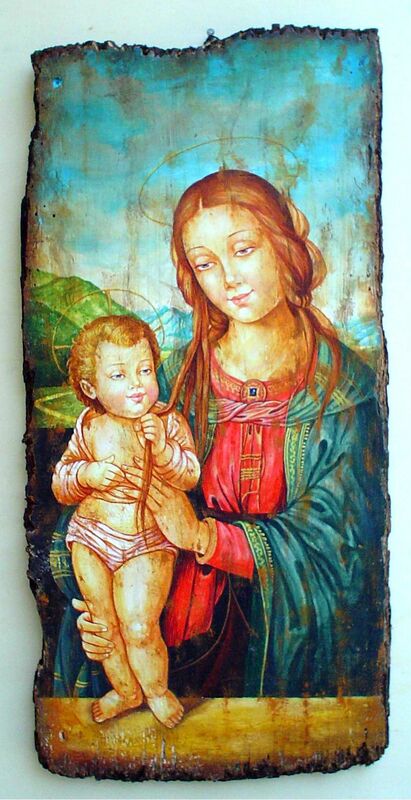 This is a collection of beautiful paintings made on authentic XVII century wooden panels. These panels are of different sizes and shapes. The paintings subjects include religious scenes, still lives, and decorative motives. Some of them are copy of works of famous painters while others are original creations of the artists. 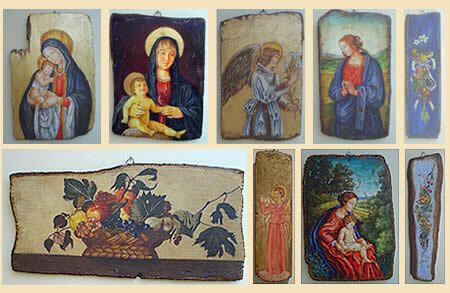 These painted panels are all hand made in Italy, one of a kind, and come with a certificate of authenticity.